Here at Tower Lifts we specialise in providing first class platform lift design and installation services for commercial, retail and residential premises. We work throughout the UK and can provide you with the increased accessibility you need. Platform lifts offer an efficient and cost-effect solution to those looking to offer access to visitors or residents who may have difficulty using a traditional staircase. A professional platform lift company like Tower Lifts will be able to design and install a platform lift the fits seamlessly into the surrounding environment, without detracting from the style or character of the building. Platform lifts can traverse flights of stairs, over split-level surfaces and even in between floors, making them perfect for any passengers with limited mobility and wheelchair users. As experienced platform lift contractors, the platform lifts we supply and fit are flexible, adaptable and can be fitted with the minimum amount of disruption. Platform lifts do not require a lift shaft, making them a convenient and cost-effective choice for a wide range of commercial, retail and residential premises. 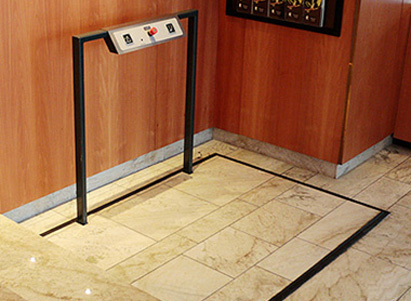 Where Can Disabled Platform Lifts Used? Platform lifts can be fitted into the majority of buildings to make them more accessible for disabled passengers or wheelchair users. Because they are designed to suit their surroundings, a platform lift will not look out of place in any environment. From listed buildings through to modern new builds, platform lifts can be installed quickly and easily and with minimal disruption to the day to day running of the building. Because every building is different, we offer a variety of platform lift solutions to suit every environment and every budget. We can design, supply and fit almost any commercial, residential or retail environment with the perfect platform lift to suit residents and visitors. 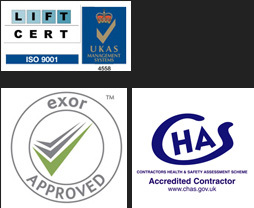 All of the above will be fitted by our highly skilled and experienced team of platform lift contractors. We work alongside our clients from the initial consultation through to final fit and ongoing maintenance, to ensure that your platform lift is always fully operational. If your requirements are very specific, or you are dealing with architecturally unusual types of building, we can design and fit a bespoke platform lift system to fully suit your requirements. Once your platform lift is fully operational, you need to be sure that you have an efficient maintenance team behind you to keep it working well at all times. We offer a variety of comprehensive platform lift maintenance services and packages that will ensure your platform lift is always available for your visitors. Tower Lifts are dedicated to providing first class platform lift services to our clients throughout the UK. If you would like to find out more about how a platform lift can increase accessibility in your building, speak to our friendly and helpful customer service team today to discuss your requirements. Tower Lifts provide UK platform lift services and we would be delighted to help you offer seamless, safe and secure access for all. Contact us today to book your on-site survey.